This lightweight knit fabric nursing cover is perfect for the mom on the go. 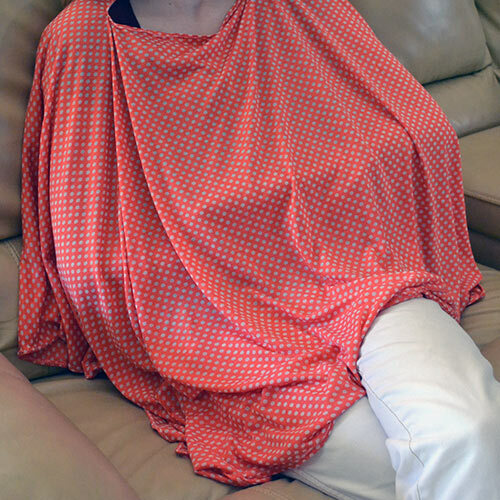 The modern poncho-esque design covers both the front and back (unlike most other nursing covers) allowing you to discreetly breastfeed in public without fear of exposure. The stretch of the soft fabric allows your baby to comfortably move while nursing. The neck opening is approximately 12″, which keeps mom covered, but leaves enough room to peek in on baby. Cover is machine washable and dryer friendly. 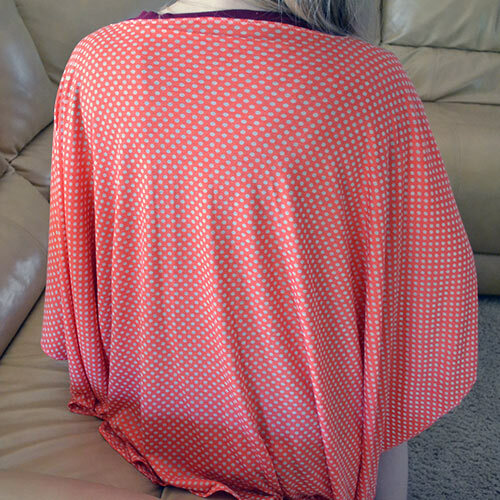 We no longer have stock of the coral polka dot fabric but all the other fabrics shown are available! If you have a certain color or pattern in mind, just contact us and we will see what we can do!